Split air conditioners are compact, and their functionality has helped them enter the average middle-class Indian home. These air conditioners are available in a variety of models to suit every budget. 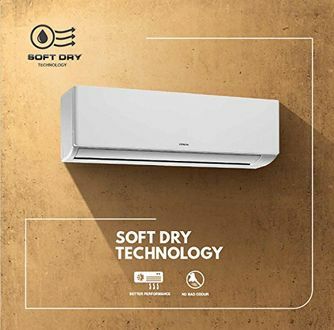 Brands such as Samsung, Daikin, LG, Voltas, Hitachi, Panasonic, O General, Carrier, and Lloyd offer the best split air conditioners in the Indian market. If saving up on your electricity bill is your priority, then you can opt for the 4-star and 5-star rated split AC models which will keep you comfortable without demanding higher electricity usage. 1-ton and 1.5-ton AC prices in India online are the lowest due to unbelievable offers and deals available. Buy the best split ACs in India using the price list that has 772 latest and new Split AC models, whose prices are last updated on 19th April 2019. Buy a split AC online in India at the lowest price and save yourself from the sweltering heat this summer. Purchase a split AC for home or office from a reliable brand. The split AC ratings in India starts at 2-star and end at to 5-star. For those who are seeking high quality and lowest cost, inverter air conditioners will do a nice job. Confused about which colour to purchase? Don't worry! Have a look at the split AC images and imagine how would the AC fit to your interiors. On top of all, you can avail a warranty of up to 10-years depending on the brand and model.